Debt Recycling: How Does It Apply to Medical Professionals? Doctors generally carry a high level of debt, and it seems overspending and trying to keep up with their peers is the main reason. But how can you overcome your debt hurdles? Debt recycling could be the answer. The family home is often considered one of the largest debts you have, but it is not the most efficient type of debt. It does not generate an income, and any interest repayments are not tax deductible. Debt recycling changes this by recycling your home loan debt into a new tax-deductible debt. Essentially, you are investing for the future while paying off your home loan. The investment loan is interest-only, so any payments that would have traditionally been made on that loan, plus the earnings on the investment, help pay the private home loan. It’s important to note however, that while debt recycling can potentially help generate long-term wealth, it is a high-risk strategy as you’re using your family home to invest. There are a number of strategies that are used to recycle debt. However the basics should always be the same. Use the equity in your property to obtain an investment-purpose loan (tax deductible). Use the borrowed money to invest in an income-producing asset (for example, in shares) and then use the income generated – plus any tax advantage – to pay off the debt in your home loan. Increase the investment-purpose loan by the amount you paid off your home loan, and reinvest the increased amount. Repeat until the investment-purpose loan replaces the non-deductible original home loan. Remember, this strategy is not for everyone, as some people will not feel comfortable using the family home to invest. It’s always wise to speak to experts before committing to anything. While a risky strategy, there are several benefits to recycling your debt. Wealth creation begins immediately. This gives you long-term growth of any investments. The non-deductible (bad) debt is replaced with a tax-deductible (good) debt. This provides investment income and tax benefits. Lifestyle goals can be reached sooner. 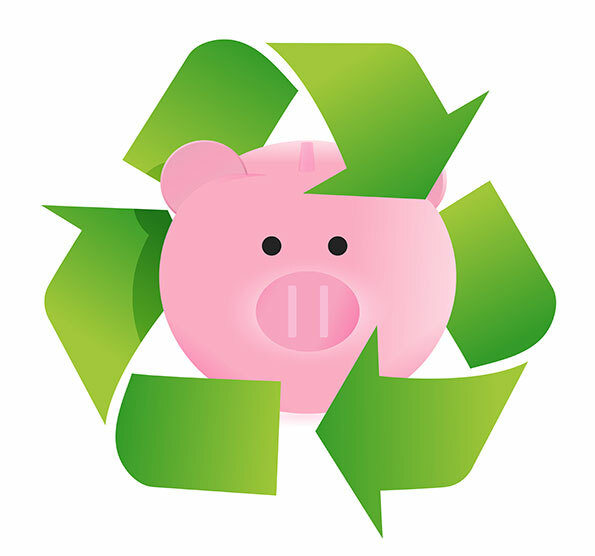 By taking stock of your finances and looking at a budget, you may be able to free up more funds to recycle. This will reduce your debt even faster. Current opportunities in the market are utilised straight away. A diversified investment portfolio is created external to the family home. Tax deductions can be claimed for any interest paid. As with any financial decision, there is a lot to consider when looking to recycle your debt. You will be exposed to market volatility, so the risk is increased. This can be partially reduced through diversification. Debt recycling involves gearing so any capital gains made on the investment are magnified. Because it is an interest-only loan, discipline is needed to maintain regular debt recycling. Without it, you are not guaranteed to pay off your home loan. It’s essential that you have a regular, independent income that you can rely on to cover the interest payments. This is not a quick fix. You’ll need to acknowledge that it’s a long-term investment, and you may need to increase your debt in order to minimise it. According to experts, the main reason doctors traditionally carry a high level of debt is overspending. There is a strong desire in the medical community to maintain a lifestyle consistent with peers. Plus, the banks are willing to lend, especially to those in the medical community with a consistent and reliable income. Because of their relatively high income, it is believed that doctors can harbour a false sense of financial security. This is especially the case when banks readily increase loans as expenses rise. Usually, the debt rises significantly over a period of time until one day, later in life, they realise that the debt is larger than they originally thought. It’s at this point where those in the medical profession need to deal with their expenses. What is coming in and what is going out? Do they equate? Is there a surplus or are you spending more than you’re earning? While it’s clear that doctors are often quite conservative when it comes to borrowing money for establishing their private practice, it’s often the home loan that is the root cause of debt problems. Again, it goes back to peer pressure and what is expected, with doctors buying expensive homes in expensive suburbs. The problem is two-fold. Doctors tend to be more inclined to borrow personally than professionally. Banks readily, and generously, lend to doctors, so often doctors do not face the same pressure as others to save for a deposit. As with anything in life, don’t be afraid to ask for help. Nowadays, there seem to be generational differences, with younger doctors seeking help earlier. This is especially problematic when looking at the older generation, on the cusp of retirement. When there is work, money is plentiful, but work will not be there forever. It’s important to seek professional help, but there are also a number of steps you can take. Document any debt. Understand your finances by writing down anything owed on credit cards, mortgages, cars and equipment. Document your cash flow. What is going in and what is going out? Education is key. Make sure you understand basic concepts like compound interest, the difference between good debt and bad debt, and tax deductions. It’s also important to always have a plan in place, especially when borrowing funds. And remember to always create a budget. While it may sound boring and mundane, it’s probably one of the smartest financial decisions you’ll make. If you’d like to find out more about debt recycling, or if you think it could be the answer for your finances, contact the financial experts at MEDIQ Financial today. Our professional team can help you get your finances in order.